Hey there! Remember that time we told you that Top Gear's annual Christmas special would involve a journey finishing in the Argentine city of Ushuaia? Hah, yeah... good times, good times. 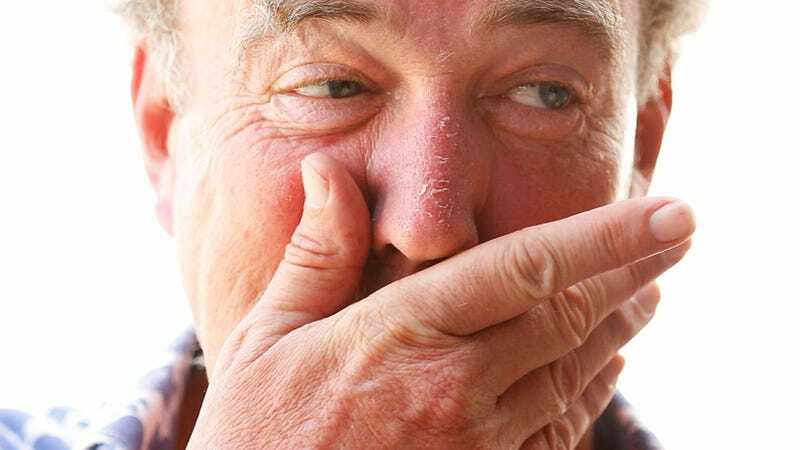 It turns out that might not be the case, as Ushuaia just banned Jeremy Clarkson from entering the city. Jeremy Clarkson is, without a shadow of a doubt, one of the finest living trolls on Earth. While often toeing the line of revulsion, he often hits the mark hilariously. But what he just (allegedly!) pulled in Argentina is a masterclass in the subject. One of the things you have to remember about Argentina is that back in 1982, it fought a war with the United Kingdom and disastrously lost. The details are fascinating, but really aren't important for our purposes here, but what you really have to know is that the conflict is called the Falklands War. It was ostensibly over a bunch of wind-swept islands owned and administered by the UK, about 300 miles off the eastern coast of Argentina. Like I just said, Argentina lost the war quite badly, but it's never renounced its claim to the Falkland Islands, or what it calls Islas Malvinas. Argentina gets pretty touchy about the whole issue, and it's a Big Thing with people over there. They never really got over it, and a lot of people in the country still get pissed off if somebody dares to even call the British islands "The Falklands." It's Islas Malvinas or nothing. That's how big a deal it is. Which is why it's absolutely hilarious that the Porsche 928 that Clarkson's been piloting through Argentina's Patagonia region has been festooned with a license plate that reads "H982 FKL." Or, "1982 Falklands," if you're squinting more deeply than you ever have in your life, and also you're really upset about losing a war and never gaining control of islands you never owned in the first place and which is filled with inhabitants who really don't want to live with you anyways. But Andy Wilman, Top Gear's executive producer, said: "Top Gear production purchased three cars for a forthcoming programme; to suggest that this car was either chosen for its number plate, or that alternative number plates were substituted for the original is completely untrue." But that doesn't really matter to the minister in Ushuaia, where the cars were supposed to finish. The entire Top Gear crew has been banned from entering the city, according to the Express, and right now the contingency plan basically ends with the team finishing slightly near, but not directly inside the city. One user wrote: "Your irony is not funny in Argentina".